More protein? Sure. Clear protein? Wow! 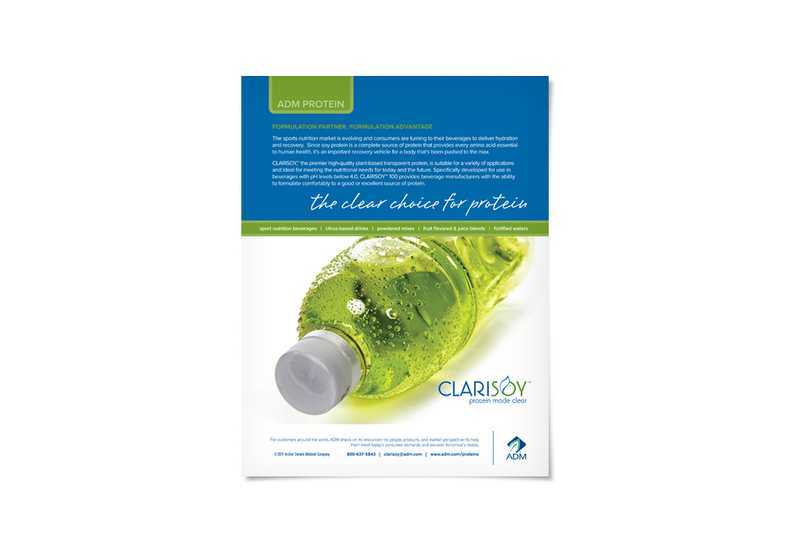 ADM’s CLARISOY™, the only line of transparent soy proteins, provide protein to nutritional beverages in a great-tasting way. We started at the beginning, before this innovative product even had a name, but we knew it needed to make its own statement. We developed the name, logo, tagline, media, PR strategy, and ad campaign. 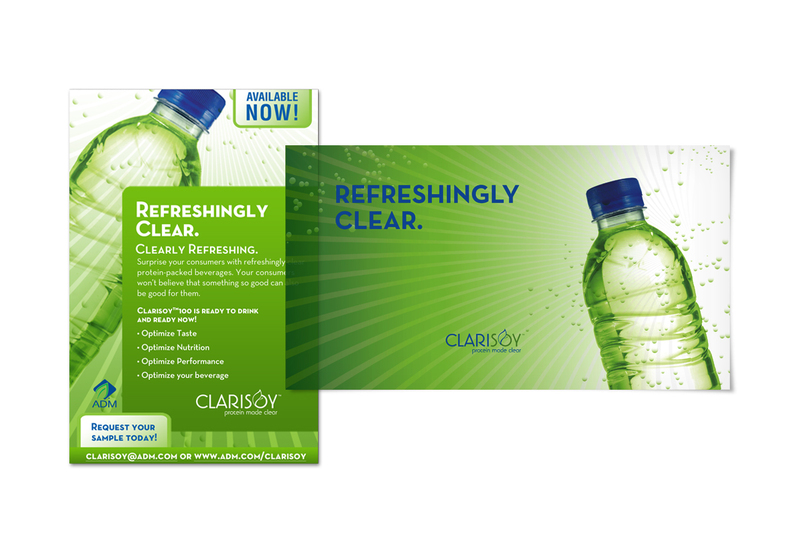 The direct mail pieces were printed on a see-through surface to stress the selling point of clear protein. This comprehensive product launch, the third time an ADM division turned to ColinKurtis, was clearly a success.